Develop Your Business, Develop Your Website with WIX.Com ~ Visualistan '+g+"
If you are just starting out with your business, one of the simplest and easiest ways to get a website up and running is to use the free website builder, WIX. This particular platform does not require you to know any HTML or have any previous knowledge about building a website, although WIX does have HTML capability if you prefer to use it. This platform is one of the best ways to get a professional website that allows you to make your own changes. When you go to the WIX site, you will be able to look through various templates and designs for your new website. Many of these were created by designers and you can edit each element to make your site more unique. All you need to do is select the template and edit the wording, upload your photographs and create the site. WIX offers templates for every kind of business and has different options for tone and mood. There are sites with musical capabilities for bands, video players for filmmakers and other tools that provide a beautiful and cutting-edge appearance to your new site. 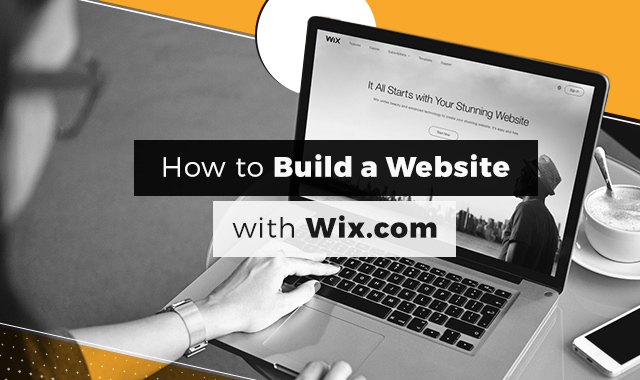 For a business owner just starting out, a WIX site is one of the most valuable tools in your arsenal. The professionalism evident in their designs and website development is eye-catching and will impress your business contacts. These sites start out free on WIX, but they contain advertising and the URL will have the word ‘wix’ in it. It’s best to upgrade to a Premium plan so you can use your own custom URL and to get rid of the advertisements. There are a variety of plans available for upgrading, some as low as a monthly charge that costs less than $20. You’ll be saving on maintenance because you can edit the site yourself and provide your own updates, so paying for premium on the site is a steal. Once you have upgraded to premium, you can ask the servers to point to the domain. Talk to your domain provider to make sure everything is working properly and you can have a gorgeous website up and running within the day. WIX is one of the best website development sites available for people beginning their journey because it does not take very long to set up and there is nothing new to learn. You’ll be very surprised at how simple and easy it is to build and maintain. I am a publisher and have been using WIX for all three of my main websites since I started business back in 2009. Since then, they have grown in leaps and bounds with their functionality and the availability of several new widgets on the site. If you are interested in building an online store, WIX offers that capacity with its widgets and Paypal accessibility. Depending on your needs, a WIX site can be a fully functional economic center complete with all the memory you will need. The templates offered by WIX are very slick and memorable. As a business owner, you will be sure to enjoy your experience with the website. One of the problems we often face is needing to constantly learn new skills to keep up with the times, but if you aren’t computer savvy then WIX is an excellent answer for you. Everything is extremely intuitive on the site and even those who struggle with technology will find it very easy to navigate. You don’t even need to wait for anyone to help you with it when you need to update information on your site. All of this is possible to achieve within moments if you are using a WIX template. During the years I have maintained my WIX sites, I have never had a problem with anything glitching out or causing problems. These sites are some of the most reliable I have ever experienced, and the simplicity of editing them is something I cannot say about other sites. I struggled for some time with other free website platforms but I went with WIX because I found the need to understand HTML frustrating and I am unfamiliar with website development. Editing and design takes skill at that level and unless you are already a designer there is no use wasting several hours of your life trying to figure out how to edit your site or just upload a picture. WIX takes all of the stress out of the equation by offering a site that is simple to use and easy to edit. If you are just starting out and don’t have the money to hire a designer yet, give WIX a try. New businesses still need a website to prove their legitimacy so it’s better to build now and hire later if you find that your business takes off. For now, you can depend on WIX to create a site that will impress potential clients and get people talking about your new entrepreneurial endeavor.